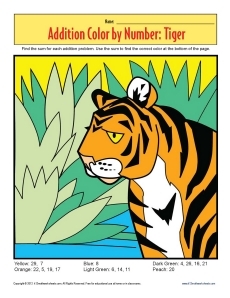 The tiger is waiting to be colored in this color by number page. Before your student can color, though, she must solve the addition problem for each area. The sum will tell her the correct color to use. It's addition practice with some fun thrown in!